Four police cars and a riot van were called to attend violent clashes between rival fans at an amateur football cup final on Friday evening. 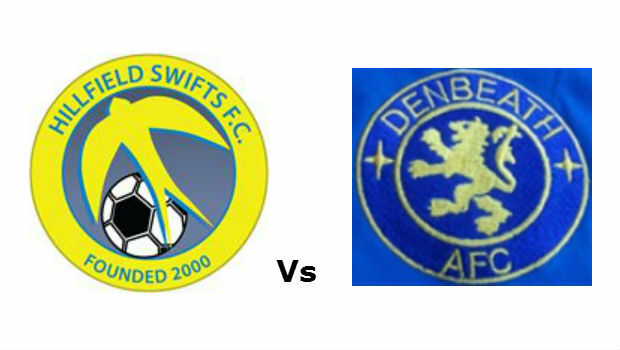 The match between Inverkeiting Hillfield Swifts and Denbeath was being played at the ground of Star Hearts in Kennoway and was abandoned with 12 minutes to go after a Denbeath player was hit in the head by a bottle thrown by a fan. It is understood that a Swifts fan threw the bottle even though his team were 2-1 up at the time. When the referee abandoned the game, more than 100 fans invaded the pitch and a mass brawl broke out. Three supporters were arrested following the melee. Fife Police said that two men had been charged with assault and one with perverting the course of justice. Fife Amateur Football League have now summoned representatives from both teams to discuss the incident and to hear what sanctions may be imposed. It is thought that the trophy may not be awarded to anyone this year.